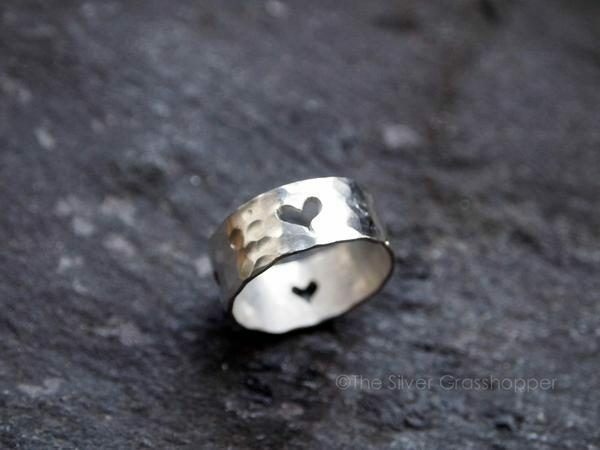 Lovingly handmade on Raasay, each piece has been carefully cut using a tiny hacksaw blade, including the little hearts. A perfect gift to yourself or a loved one. Gorgeous, handmade and easy to wear. 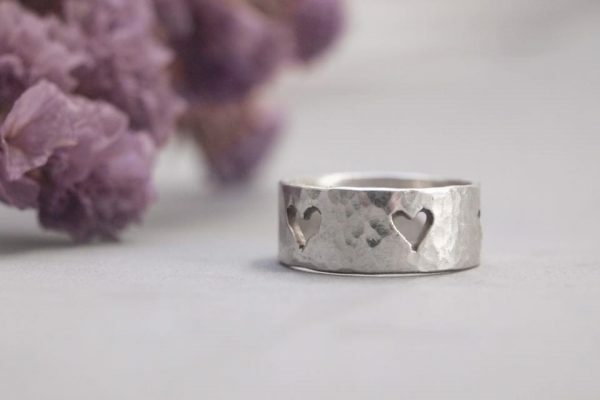 1cm wide, 1mm thick sterling silver. Hallmarked by the Assay office.